Every traveler knows San Antonio for the Alamo and the downtown river walk. But these destinations merely hint at the beauty, culture, and history that can be experienced a short distance down the river. Once called Mission San Antonio, the Alamo is just one of five Spanish missions clustered in San Antonio and still standing nearly three hundred years after their founding in the 1700s. South of downtown, the other four missions appear on opposite river banks, each three miles apart, and all within the city limits. 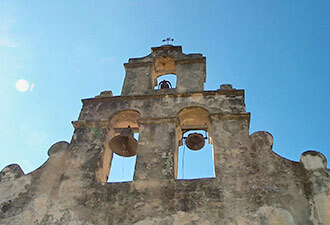 San Antonio Missions National Historical Park preserves the missions Concepcion, San Jose, San Juan, and Espada and affords the opportunity to see the largest collection of Spanish Colonial era resources in the United States – five missions in a short 12 miles. A complete tour of the missions deserves at least a day. The park has free admission and is open every day. The visitor center, located outside Mission San José, features an award-winning film about the sometimes-misunderstood Spanish Colonial period as well as a museum and a gift shop. The walled grounds of Mission San José hold six acres of original and Works Progress Administration-restored buildings, plus an operating reconstruction of a 1794 water-powered gristmill. The church at Mission Concepcion, finished in 1755, is likely the oldest unrestored stone church in the United States. The entry to Concepcion church, with the church portal, and the rose window at San José provide the best examples of Spanish baroque architecture in this country. Mission San Juan, nine miles from downtown, lies in a pastoral setting alongside an unchanged river. This site displays new museum exhibits, a striking church interior, and colonial and post-colonial structures. The southernmost mission, sitting high above the river, is Mission Espada. Espada’s compound contains the ruins of fortress walls, the stone outline of a collapsed church, and a chapel hand-restored by a priest in the 1800s. Between San Juan and Espada, a stone aqueduct that dates to the 1740s carries canal water to farm fields around Mission Espada, as it has done for nearly 270 years. 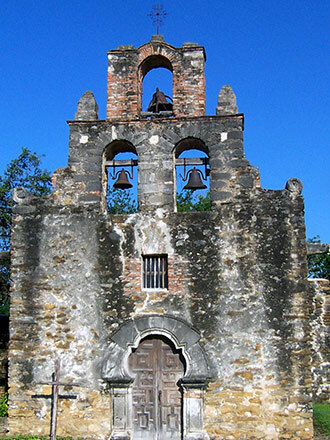 Beyond enjoying the beauty of these historic sites, you can join activities to learn and explore more at the missions. Scheduled tours are given daily at each mission, and docents and rangers are available at each site to answer questions. All sites offer a new Junior Ranger program. Each mission has accessible, short walking paths, and a riverside hike and bike path for longer treks. The mission churches are active Catholic parishes with regular services and occasional special activities for visitors. A great adventure starts with the Alamo and the downtown river walk. 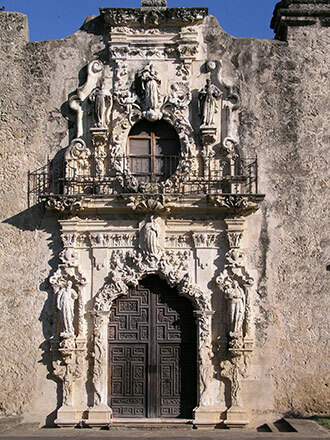 A visit to the impressive San Antonio missions down the river can complete an understanding of an important Spanish period in American history and reward the visitor with spectacular sights and lasting insight.